One sided 12” MLP, other side etched. 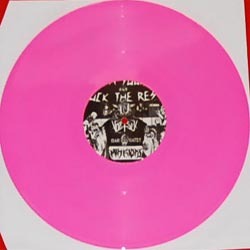 Limited to 400 units only, first 100 handnumbered on glamour pink vinyl. All copies with insert. This cool release really breaks the chains of standard underground!! 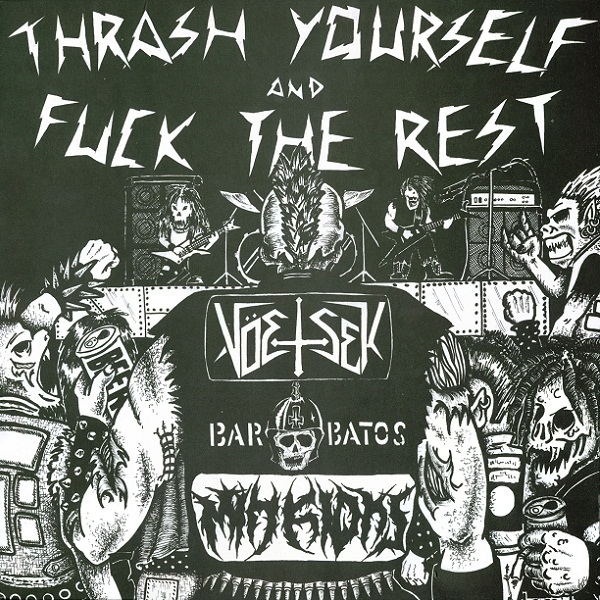 !Three bands from three different country but sharing the same attitude and passion for the music they live: VOETSEK (Usa) : The San Francisco thrashers strikes again with new hits of raging ‘n’ angry HC their only cool way!!! Open a beer and let it be fast!!! BARBATOS (Jpn): The solo creature of unholy master Yasuyuki Suzuki returns killing you one more time!!! Extreme metal/punk tunes addicted to Bulldozer and Bathory!!! MINKIONS (Ita): These crazy drunk dudes come from North East Italy offering nothing but pure explosion of true crossover/thrash the 80ies vein of Suicidal Tendencies, The Accused or Wehrmacht!!! limited version 12 €.